Osteogenesis Imperfecta (OI), commonly called brittle bone disease, is a disease that causes a defect in the production of collagen protein. Collagen is an important protein that helps to support the body; think of it as the scaffold upon which the body is built. There are several types of collagen, the most abundant of which is type I collagen. Type I collagen is found in bone, the sclera of the eye, ligaments, and teeth. Osteogenesis imperfecta occurs when there is a defect in type I collagen production. Typical problems seen in patients who have osteogenesis imperfecta include bone fragility, short stature, scoliosis, tooth defects, hearing deficits, bluish sclera, and loose ligaments. Osteogenesis imperfecta gets its more common name, brittle bone disease because these children are often diagnosed after sustaining multiple broken bones. The symptoms of osteogenesis imperfecta vary greatly between individuals. Some children are diagnosed very early in life, while others can be more challenging to detect the condition. Multiple fractures due to low-energy injuries should raise suspicion of an underlying condition such as osteogenesis imperfecta. Over the past decade, additional types of osteogenesis have also been described. Currently, there are 8 sub-types of osteogenesis imperfecta. Osteogenesis imperfecta is due to a genetic mutation in the gene that directs the body to produce collagen. Osteogenesis imperfecta can either be passed on from a parent who has the disease, or it can occur as a spontaneous mutation in a child. Most cases of osteogenesis imperfecta that are passed from parents are due to a dominant mutation, which comes from one parent who has osteogenesis imperfecta, although a small number of cases are due to recessive mutations and come from a gene from both parents, neither having the disease. Currently, there is no known cure for osteogenesis imperfecta. The primary focus of treatment is on preventing injuries and maintaining healthy bones. Ensuring that children with osteogenesis imperfecta eat a nutritious diet, get regular exercise, and maintain a healthy weight is fundamentally important. Often children with osteogenesis imperfecta will require ambulatory aids, braces, or wheelchairs. Surgical treatment of osteogenesis imperfecta depends on the severity of the condition and the age of the patient. 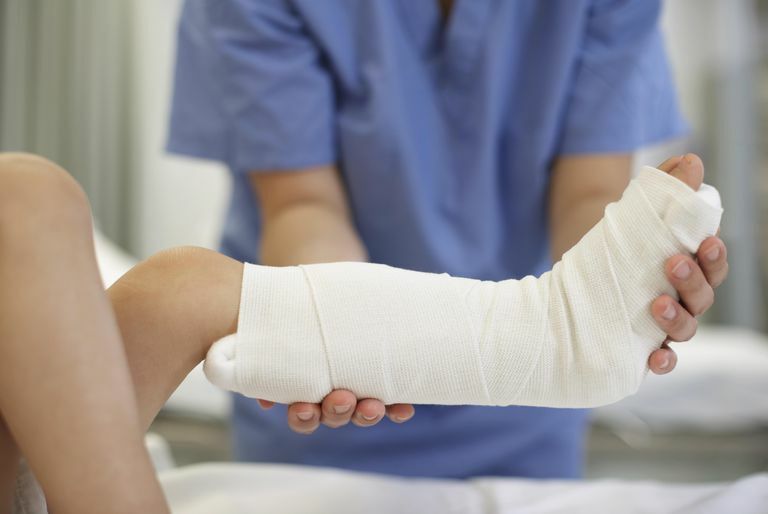 In very young children, many fractures are treated the same, as if the child had no underlying condition. However, surgical stabilization of fractures becomes more common, even at a young age. Broken bones in children with osteogenesis imperfecta are often treated with surgery in order to stabilize the bones and prevent deformities. Intramedullary rodding, where a metal rod is placed down the hollow center of the bone, is often used to help support the fragile bone and prevent deformity of the bone. Scoliosis is usually treated aggressively as the problem tends to progress in children with osteogenesis imperfecta. The role of medications in the treatment of osteogenesis imperfecta is evolving, but recent studies show a benefit of treatment with bisphosphonates and calcium supplements. The rationale is that these treatments will strengthen the bone and decrease the frequency of fractures. Research is also being conducted in the use of growth hormones and genetic therapies. Burnei G, et al. "Osteogenesis Imperfecta: Diagnosis and Treatment" J. Am. Acad. Ortho. Surg., June 2008; 16: 356 - 366.